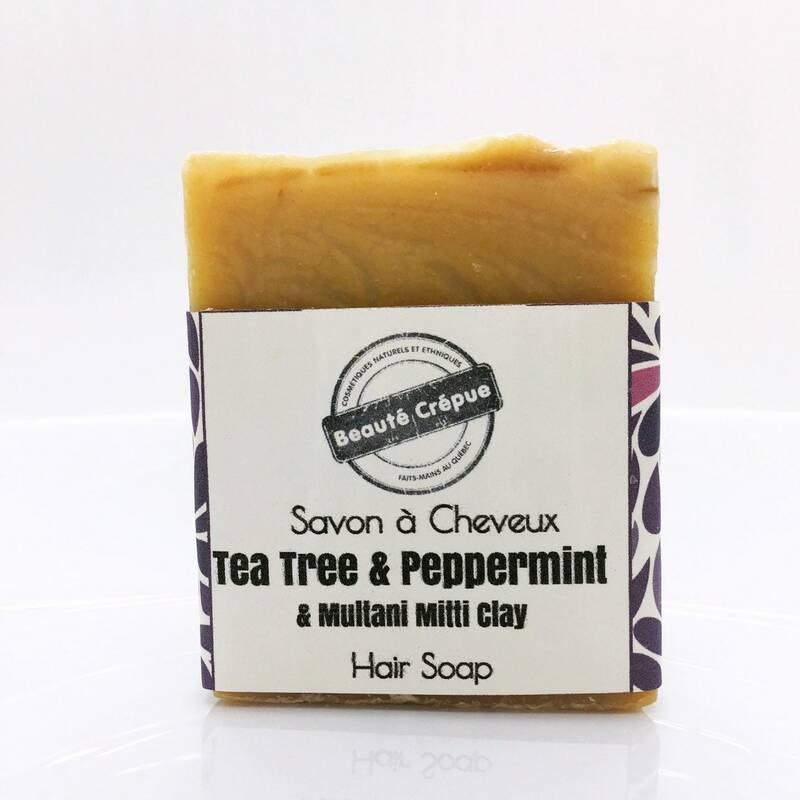 The hair soap (solid shampoo) with the essential oils of Tea Tree and Peppermint, Neem oil, neem leaf and Multani Mitti clay is formulated to gently wash the hair and purify it. This shampoo is composed of aloe juice, cider vinegar, purifying essential oils, to clarify the hair. We recommand it for itchy and dandruff scalp. Ingredients: Olive, Coco, Ricin and Palm Oils, Distilled Water, Organic Apple Cider Vinegar, Neem Oil, Clay, Multani Mitti, Neem Powder, Green Clay, Tea Tree Essential Oils, Peppermint, Lime and Lemon, Vitamin E, Oxides (natural coloring agent).